Founded in 1898, this was one of the first golf courses in the U.S. and has held an esteemed group of local figures over the years. If you are looking for a large, classic venue with beautiful outdoor green space for photos, consider having a New Haven Country Club wedding. Not limited to golf, the club has offered other sports including tennis, swimming, and polo. Today, the Old-English style clubhouse hosts weddings other and private events throughout the year. Ceremonies can be hosted on the flower-edged outdoor patio, our out on the lawn. Some couples have chosen to be married under one of the wide, established trees on the property for a more informal, natural feel. Guests can mingle on the patio for drinks during cocktail hour, and then head into the modern-styled ballroom that hosts up to 300 guests indoors. The beauty of country club weddings is how easy they make planning for their clients. Wedding packages include all the basics: linens, china, flatware and a special champagne toast. New Haven Country Club wedding guests give the menus rave reviews. With menu items like miniature lobster rolls, pancetta and leek stuffed clams, and oyster and Grey Goose Shots with Tabasco, how could they not? And those are just from the hors d’oeuvres menu. The club offers special extra touches too, like a spring water station with spa water to refresh guests. The venue is a WeddingWire 2017 Couples’ Choice Award winner, and of course the photo opportunities abound. Inside, an antique fireplace serves as a perfect background for formal family portraits. 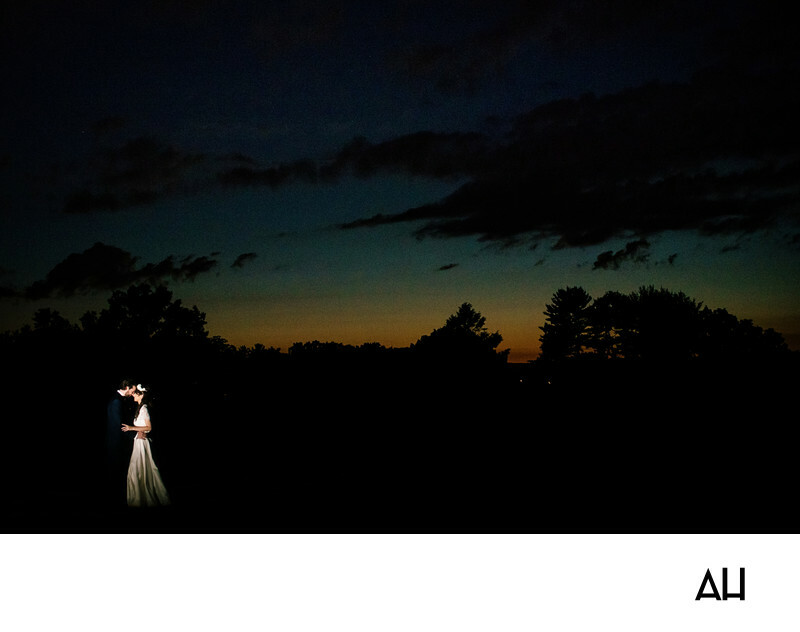 Outside, head over to the towering evergreens for romantic portraits of the couple. I loved photographing this couple at their recent New Haven Country Club wedding, and have no doubt I’ll be back soon to capture the wedding day of more clients who find this country club to be the perfect venue.